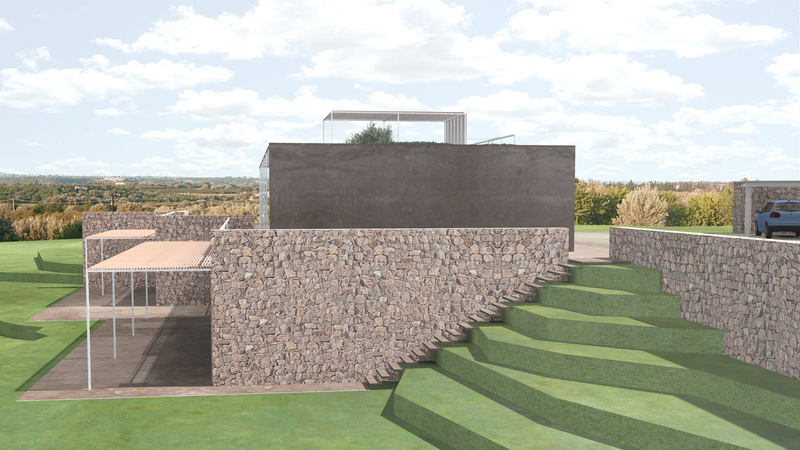 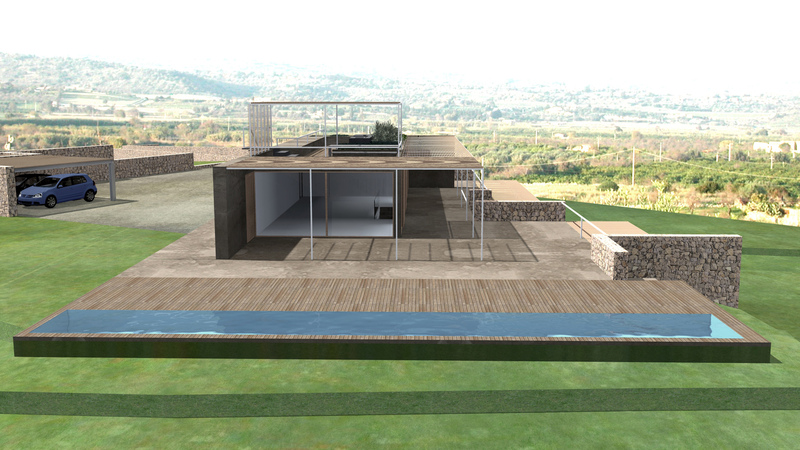 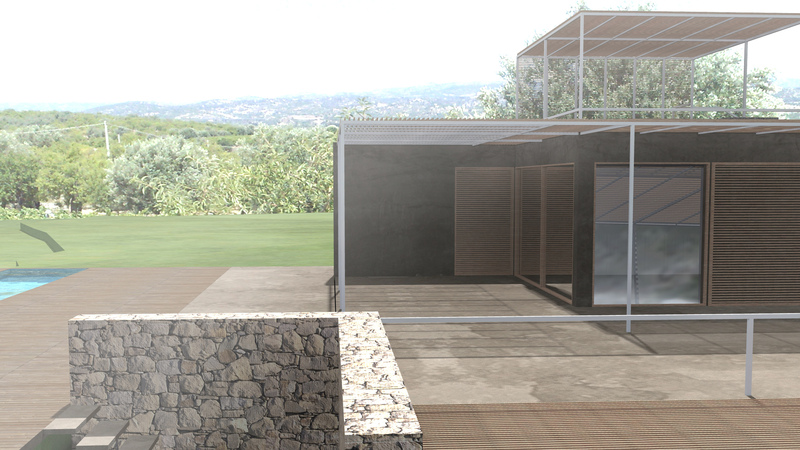 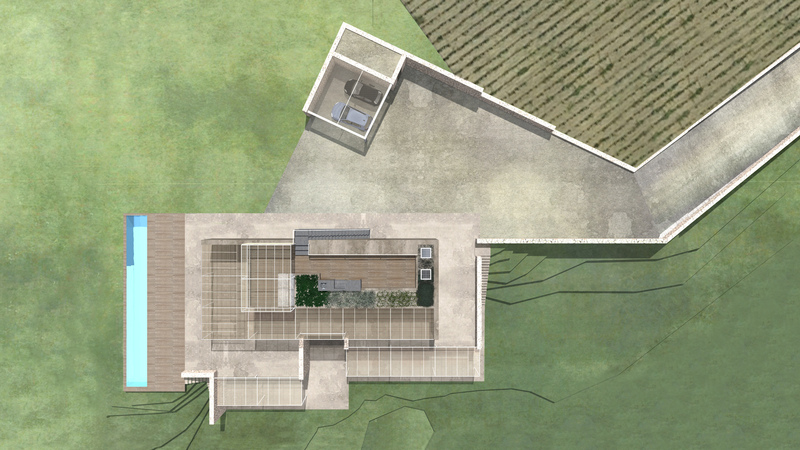 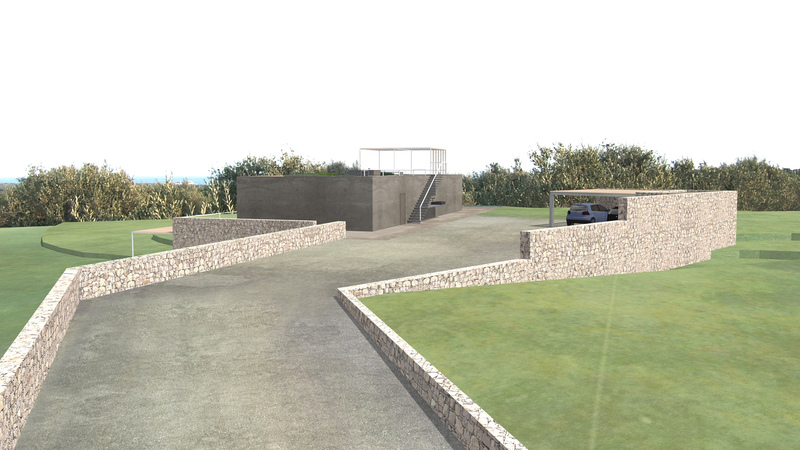 The project area is located in the South of Sicily, surrounded by hills covered with vineyards and olive trees, where one can enjoy a characteristic view of the magnificent Vendicari reserve. 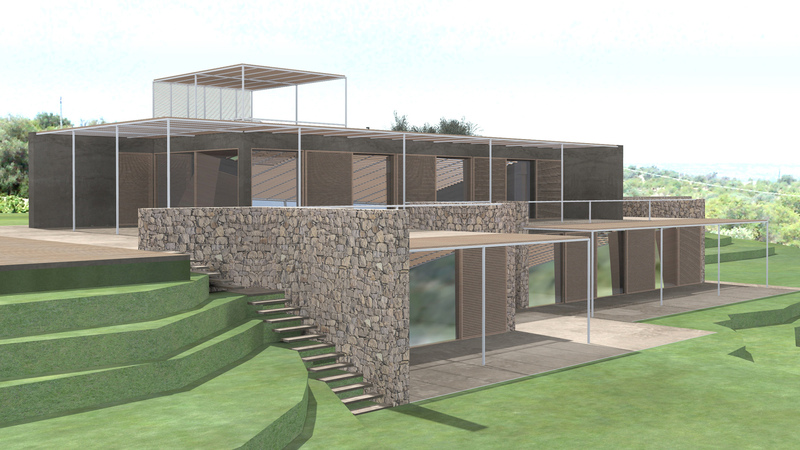 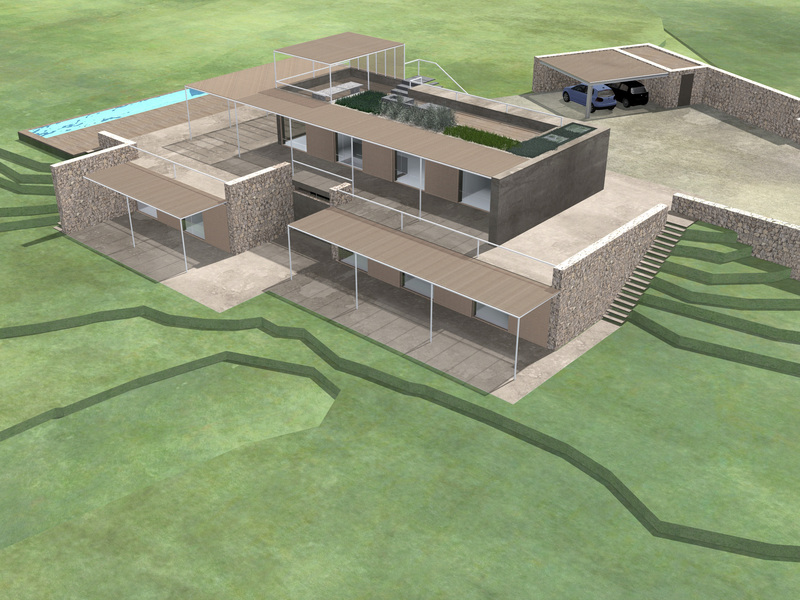 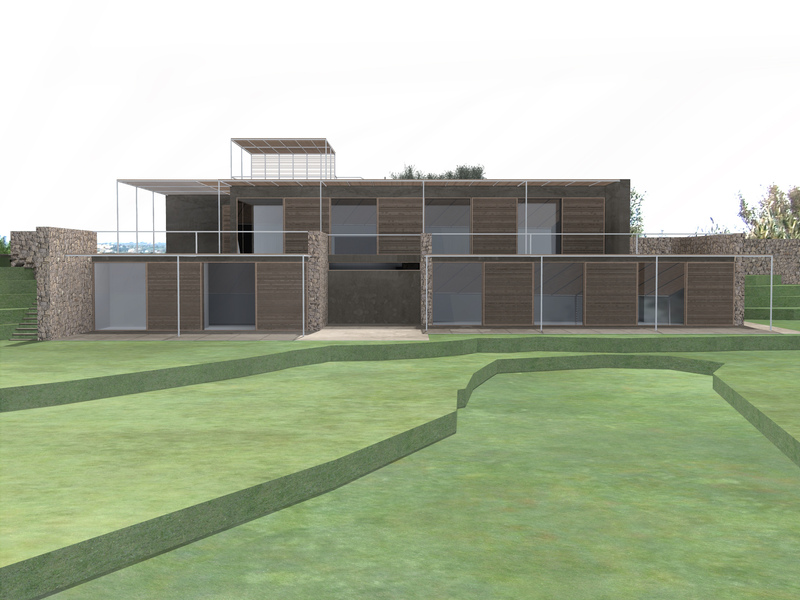 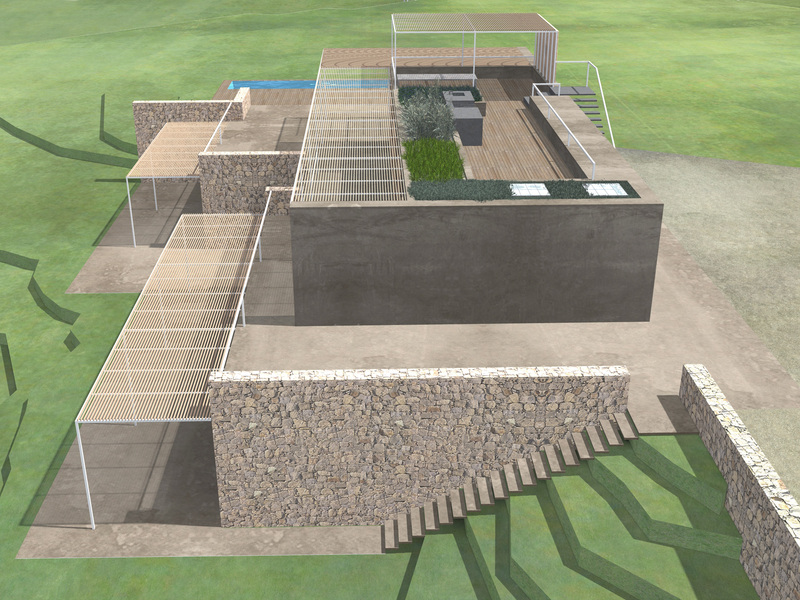 The house is built on two levels and the natural contours ensure the property blends in with the natural surroundings.The upper floor of the building is finished with an earth-colored resin; the lower part, as well as the outer space, are instead defined by massive walls, built with local sandstone. 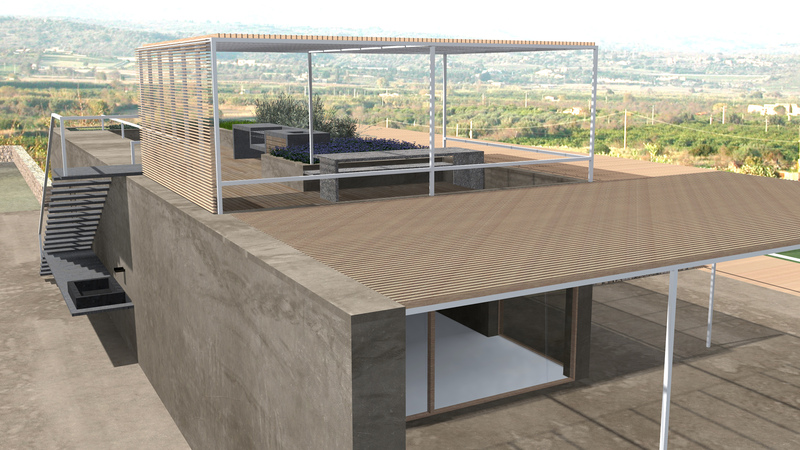 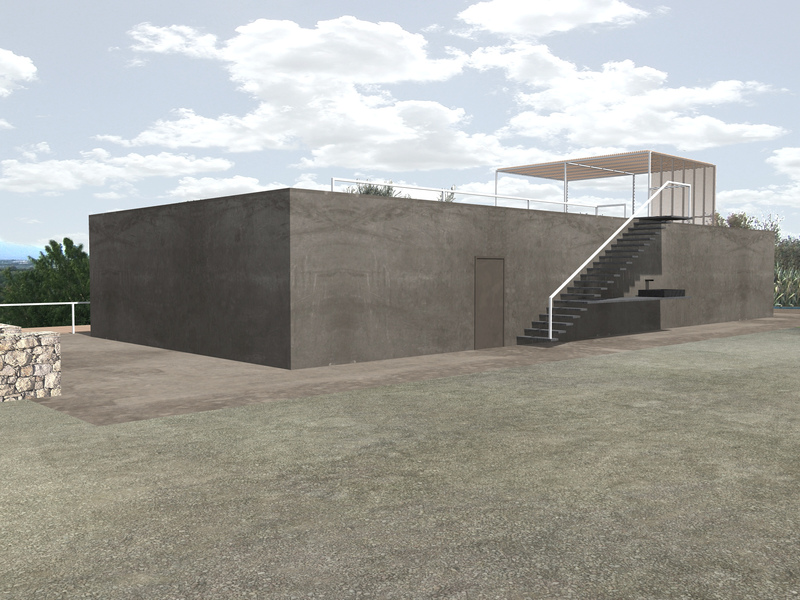 The north side of the ground floor volume, clearly closed and essential, is characterized by an external staircase that allows access to the covered terrace, equipped for outdoor dining with seating and relaxation area. 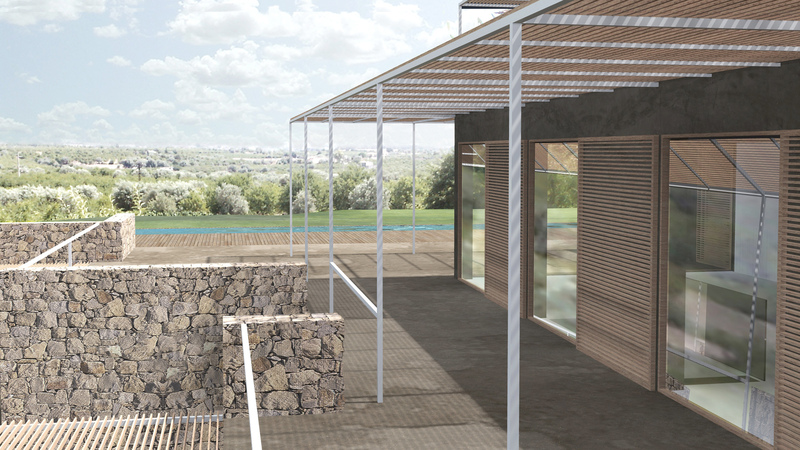 The windows, on the other hand, are all south facing, protected by a wooden brise-soleil system, fixed to a light metal structure, which is articulated around the building, defining the external spaces, also rising to protect the roof terrace. 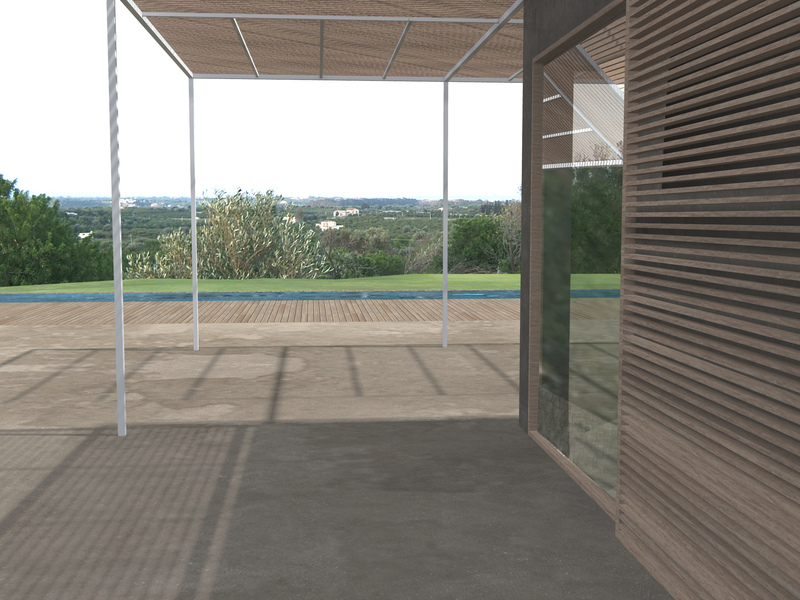 The long and narrow pool is located in the south facing part of the property, where the sloping ground, allows a privileged view of the sea. 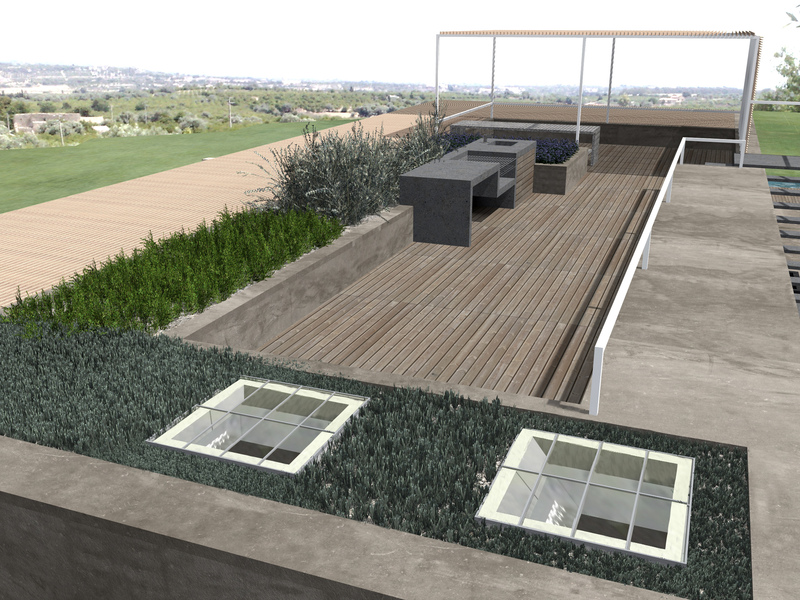 The outdoor areas are an integral part of the project, both on the ground floor, where the common paths surround the building, and the basement, where the spaces become private and dedicated to the sleeping quarters.